Silicon Valley Entrepreneurs Toastmasters is Chartered Today! Very glad to announce that, we have chartered the Silicon Valley Entrepreneurs Toastmasters, at Toastermasters Club, as part of Silicon Valley Entrepreneurs & Startups meetup. Entrepreneurs — whether you are just at the ideas stage or have a fully fledged start-up, getting your ideas and business across to investors, partners and the general public is essential. Our group welcomes both those who need help getting over their public speaking jitters and seasoned speakers looking to perfect their presentation. 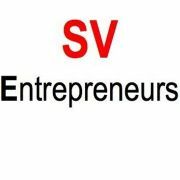 This group is especially designed for entrepreneurs, start-ups, investors and anyone who wishes to become one. Small, new group that provides supportive opportunity to practice public speaking and learn leadership skills. Audience Participation (~20 min): Following that we will have an interactive session giving attendees the opportunity to speak. Discussion (~20 min): The discussion will include comments on speaking performance and club logistics.